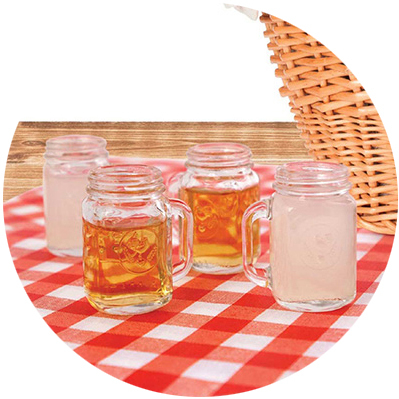 These tiny Mason Jar are a take off of the generations-old home canning essential, making them the cutest shot glasses ever! You are sure to impress your friends when you serve them scotch and rum and other spirits in this adorable the Mason Jar shot glass. Dimensions: L 7.36" x W 1.97" x H 2.56"